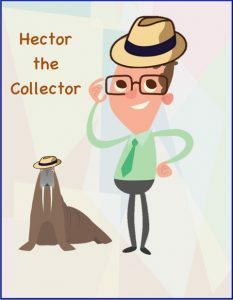 Making Your Collection Partner Part of Your Credit Dream Team - Credit Mediators Inc.
It’s Hector the Collector and I hope that as part of your spring cleaning, you’re sweeping out winter’s past due receivables and handing them over to your collection partner. For most businesses, once a claim is placed, the next time they may want to hear anything is to only know, yes or no, if the claim has been collected. In a world where we are constantly grappling with yesterday’s emergencies, knowing the nitty gritty of an agency’s collection activities is not usually where a credit professional wants to spend his/her time. However, during this spring time period of renewal, let me share some ideas on how your relationship with your collection partner can evolve into a dream team situation. Getting to really know each other. First and foremost, every professional relationship needs time to learn the nuances that makes working together both challenging and effective. When the agency fully understands how your business operates and you understand their collection process, your communication will be greatly enhanced and this will support the fulfillment of collection goals. Resolving disputes. From time to time there are going to be claims that will be disputed. Since most agencies want to avoid pursuing a collection through the legal system due to the time, costs, and resources involved, the more details they understand about your operation, sales, quality control process, return procedures etc., the better equipped they will be to resolve certain kinds of disputes. Although there will be occasions in which the dispute is particular complicated, knowing and being able to communicate directly with the appropriate team players involved at your company can often spearhead the resolution. Being your eyes and ears. Your collection partner is another set of credit eyes and ears for your company. Many times collection agents will receive claims against the same debtor from different creditors within a given industry. Some debtors will go from vendor to vendor leaving a path of payment defaults until finally the weight of the lawsuits take their toll and bankruptcy is the end game. When your agent comes across this kind of situation and gives you a heads up to be on the lookout for these “try to avoid customers”, it can be all the difference between dodging a significant write off or standing in line with the other creditors waiting to see if there is any hope of recovery. Accounts Receivable Management. Collection agencies and the collection industry are continuously on the move, evolving and becoming more sophisticated in the technology they use to operate their system and the products and services they offer. For example, integrating your billing system into your agent’s collection system in which every invoice can be followed from the point of a sale to the cash received can make the handling of any past due account into a seamless and cost effective assembly line process. In addition, many agencies are now offering various before and after sales credit risk management products and services (factoring, credit reports, debt purchasing, etc.) that tremendously provide credit and cash flow options. When you and your collection partner continue to work together in reviewing, strategizing and improving your working relationship, there is no limit to the ideas and opportunities available to strengthening your company’s growth and prosperity.